Thanks to the perfect harmony between splendid natural landscapes and human creativity, Hai Van Pass will certainly be the ideal tourist spot for those who are passionate about exploring the dangerous stretches of road and experience the thrills. 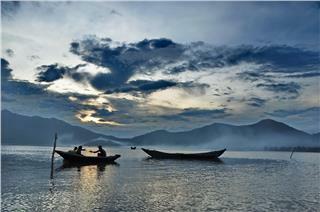 Hai Van Pass, also known as Ai Van Pass is the natural boundary between Thua Thien - Hue province and Da Nang city. 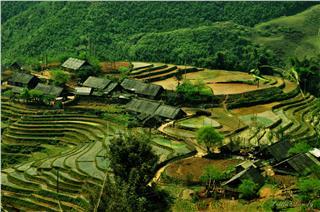 With a length of 21km, Hai Van Pass traverses towering mountains of spectacular Truong Son mountain range. As one of the most impressive attractions in Hue, Hai Van Pass has been considered the most beautiful scenery and most rugged pass in Vietnam on the journey to discover this beautiful country. For over 700 years, the pass has strong appeal for tourists who love to explore the adventurous stretches of road and experience the thrilling feelings. 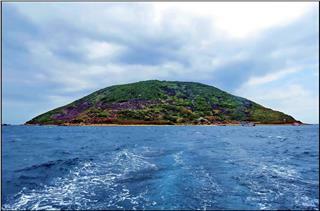 Thanks to the high altitude of 496m over the sea level, tourists will surely be ecstatic when setting foot on here. Stretching along Vietnam country, there is nowhere which can be found any wanderous passes with much more shimmering beautiful landscapes and magical scenery than Hai Van. The crooked road winding along the mountainside looks like the ribbon like crossing the heaven and earth and hiding among woodlands and mountains. 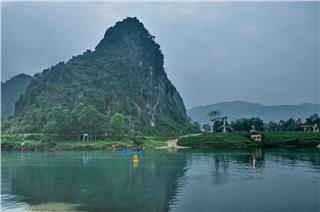 It deserves to be one of the most impressive mountain pass in Vietnam. This is really a monumental natural painting created by the wonders of the Creator and the talent of the man-made. All blends together to create an extremely impressive landscape. Not only is it the gift of natural beauty, Hai Van Pass also contributes to bring Hue tourism and Da Nang tourism closer to tourists. Craggy mountain ranges forming Hai Van Pass cutting off the country from the western border to the coast of South China Sea created the unique characteristics on the climate, culture and the locals of the two regions. Traffic over Hai Van Pass before the construction of Hai Van Tunnel is generally quite unfavorable. It takes around an hour to complete the journey, yet in return tourists have the opportunity to admire the majestic pass in sunny time or witness the spectacular fog. 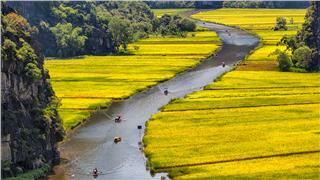 Although quite challenging terrain caused by the high mountains and deep abyss, it is an ideal sight for travel which almost travel companies in the countries implement in Hue tour and frequently introduce tourists. 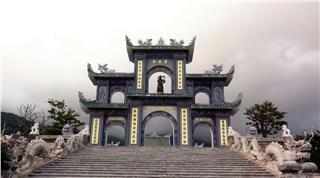 Situated on the top of Hai Van Pass is Hai Van Quan built by Emperor Minh Mang. 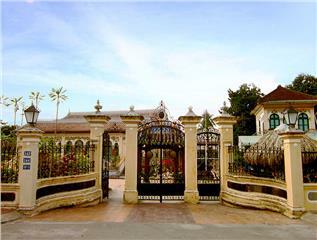 There is a stone gate with the inscription "DE NHAT HUNG QUAN" (the most beautiful scenery written by King Le Thanh Tong in 15th century. Hai Van Pass is ranked as the national-level historical relics and an appealing Hue attraction alluring tourists in any Hue tours. 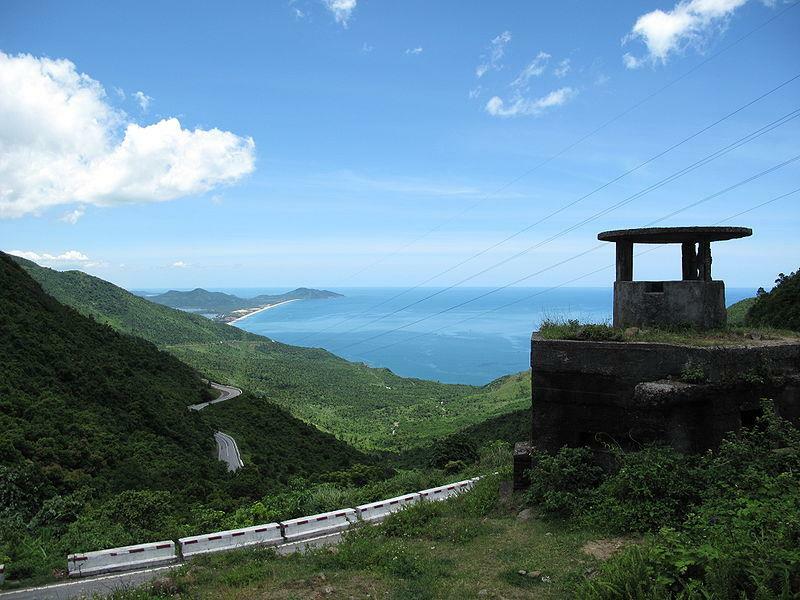 From Hai Van Quan, tourists can comfortably contemplate whole scenery around the pass. 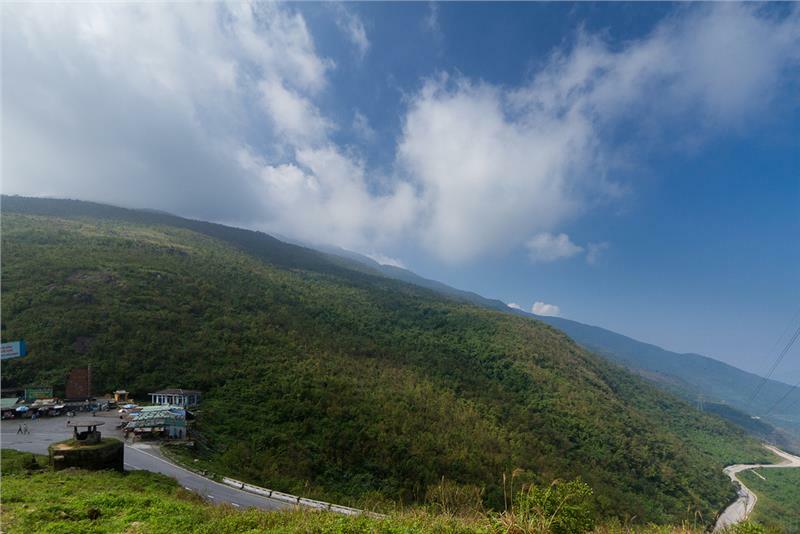 In particular, conquering the pass by motorcycle, tourists have the opportunity to not only enjoy the stunning scenery, but also experience the most famous pass in Vietnam. 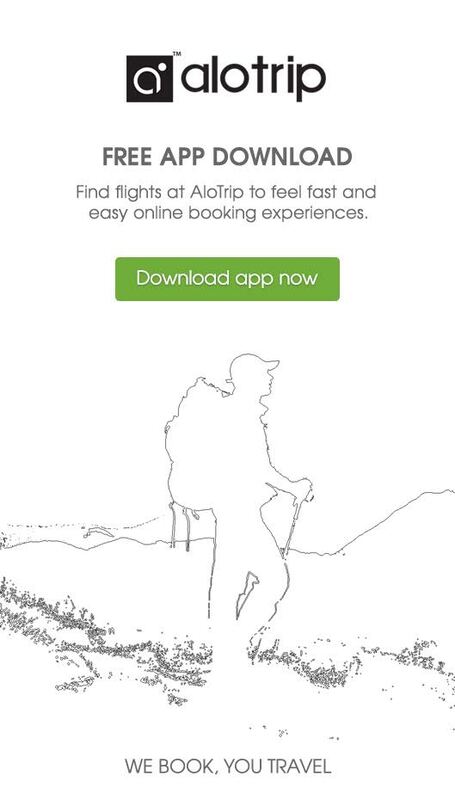 Just running with moderate speed, paying special attention surroundings and always deliberately hold the steering wheel, tourists will immerse countless spectacular scenic spots that is difficult to find anywhere else. On the road exploring Vietnam through strip of Central land full of sunny and windy, Hai Van Pass has long become an ideal place to enjoy the comforts. 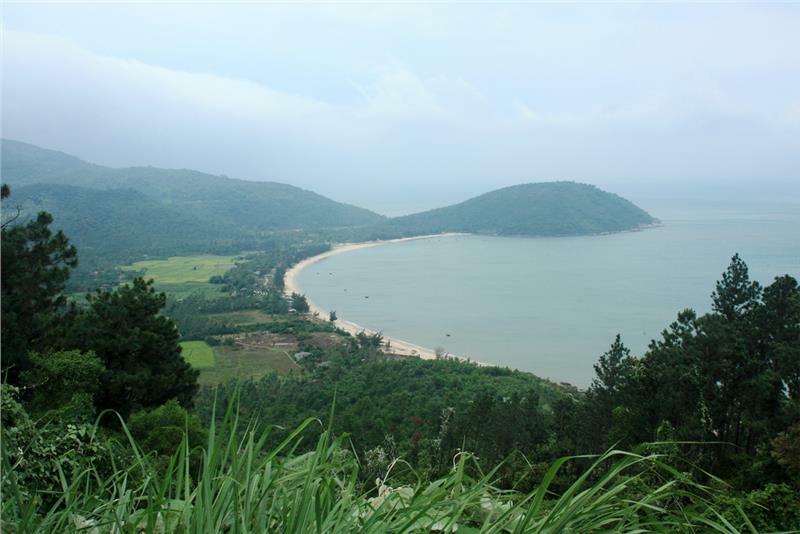 In sunny days, tourists can extremely take the panoramic view of endless stretching hills in the north with white clouds floating along with Lap An Lagoon and picturesque Lang Co fishing village from Hai Van Pass. Meanwhile, the waves slapping around the mountainside and the image of fishing boats of fishermen on the waters in the north actually appeal tourists. What the nature favorably bestows will become humane values over time and through humans' hands. Going to Hai Van is to immerse the intersection of two lands and reach psychological satisfaction conquering the peak; simultaneously, soak up the epic echoes of Vietnamese footprints. 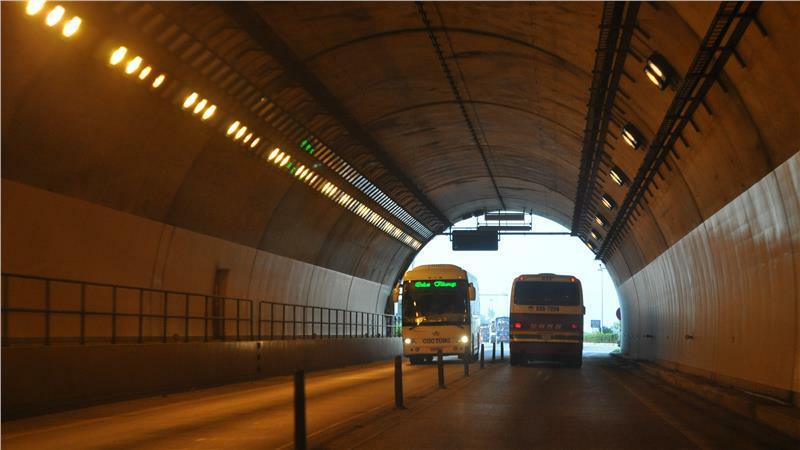 Notably, Hai Van Tunnel was completed and put into operation in June, 2005, which facilitates transportation between Thua Thien - Hue and Da Nang city much safer and more convenient. 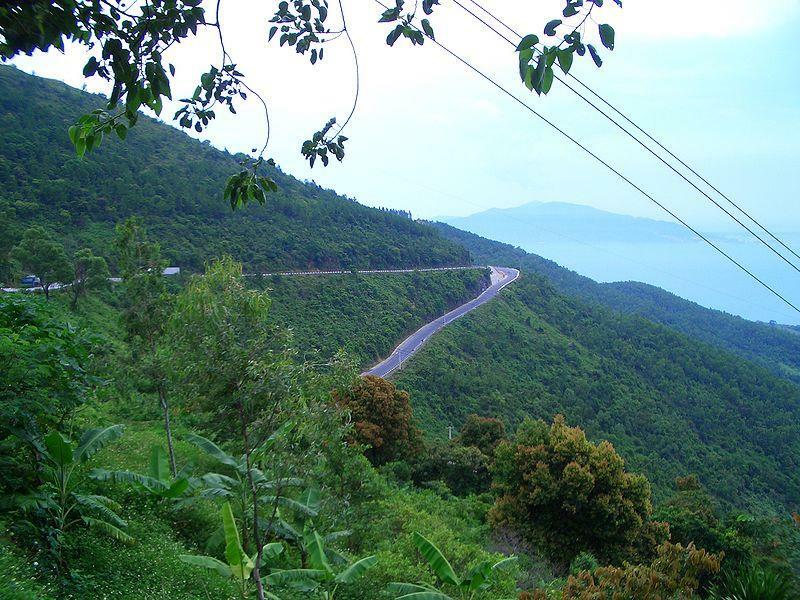 Therefore, the number of people across Hai Van Pass today becomes fewer. Most of them are tourists who are interested in exploring the dangerous stretches of road and looking for thrills... Nowadays, thanks to convenient facilities for travel, Hai Van Pass has become a new address for travel Hue. 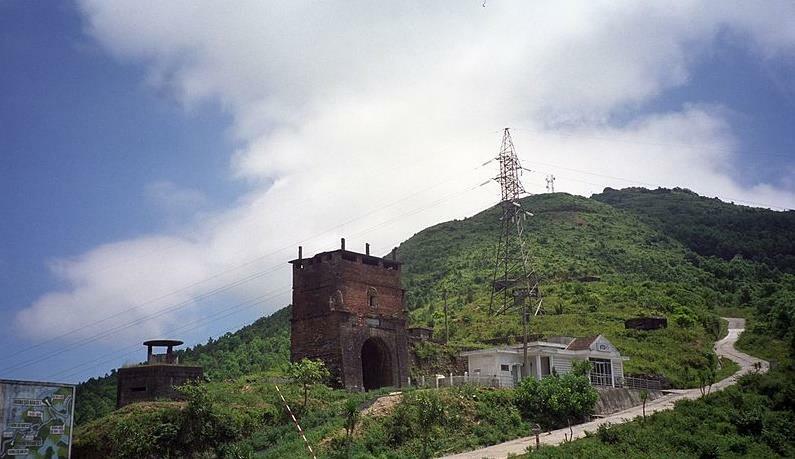 The rest stops on the pass were built, which enables tourists to stop to rest or relax when going sightseeing whole pass. 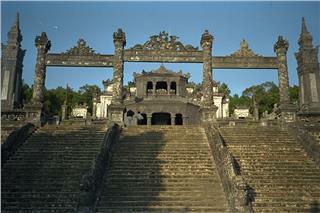 Hai Van Pass plays an important role in promoting Hue tourism to the world. 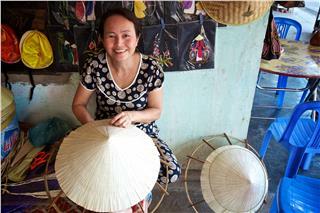 Conical hat village Hue is home to preserve the unique cultural beauty of Hue. 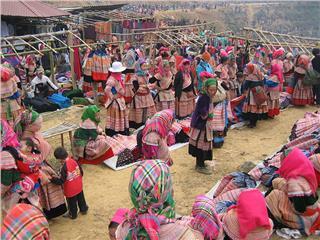 Here, tourists have a chance to witness the meticulous stages and the craftsmanship of the artisans to create the conical hat filled with aesthetic and cultural features. 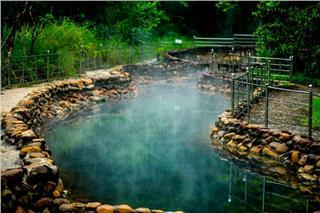 Alba Thanh Tan Hot Springs is the ideal rendezvous of peaceful natural landscapes and the perfect services. Immersing in the hot springs or experiencing the great services of the tourist area, tourists will definitely experience unforgettable moments. 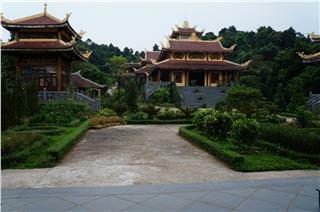 Truc Lam Bach Ma Zen Monastery and the nature here blending together creates the stunning beauty alluring numerous both domestic and international tourists. 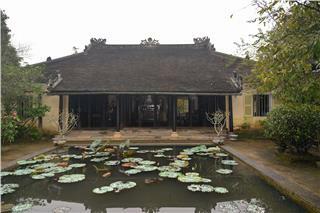 Tourists once setting foot on the Zen monastery will actually get unforgettable experiences. 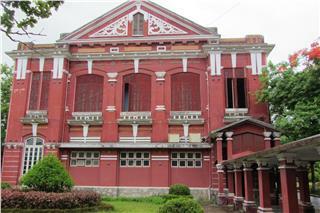 Quoc Hoc High School has long impressed tourists for its architectural harmonious combination between the Eastern and the Western. 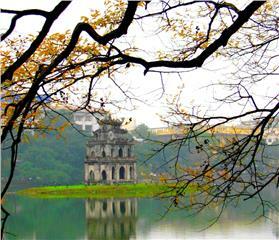 It is one of the most ancient high schools in Hue attracting a large number of domestic and international tourists. 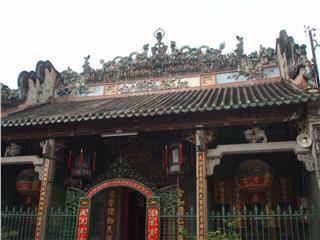 Cantonese Assembly Hall is a unique architectural mingled Guangdong architecture with traditional characteristics of Hoi An. 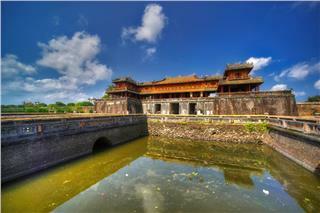 It gradually becomes an appealing attraction in Hoi An for those who love to explore the ancient architecture and culture here. 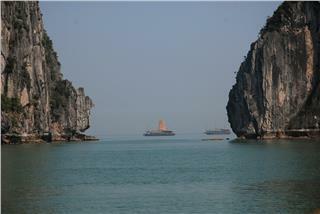 Cong Do Island is one of the wonderful islands retaining numerous crooked, winding and untouched beaches on Halong Bay. Immersing in the peaceful scenery and stunning natural landscapes, tourists will definitely experience the unforgettable moments. 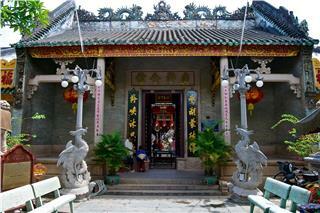 Located in Son Tra Peninsula, Linh Ung Pagoda gradually becomes an ideal rendezvous in Da Nang. It is considered the most magnificent work in the city in terms of its architectural and artistic values. 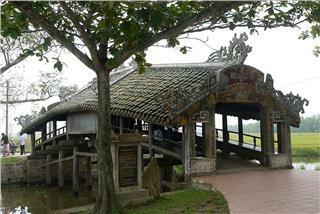 Ham Ninh Fishing Village is one of the oldest fishing villages in Vietnam. 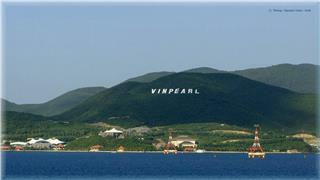 This village is famous for wonderful beaches and delicious culinary. 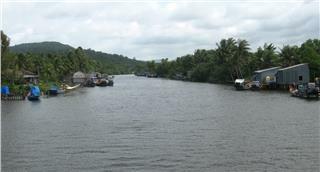 Though Phu Quoc tourism is developing rapidly, the village remains its rustic and untouched beauty. Cam Ly Falls is absolutely majestic with views of the surrounding hills endlessly stretching creating one of the great scenic sights in Dalat travel. 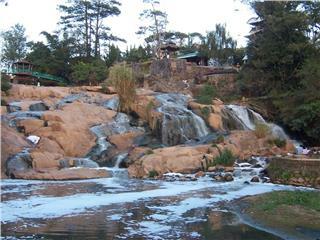 Lovely scenery and romantic nature will certainly be unique impressions of the wonderful waterfall. Retaining a particularly important position in the war against American imperialists, Xuan Son Ferry has become legendary in the history of Vietnamese people. 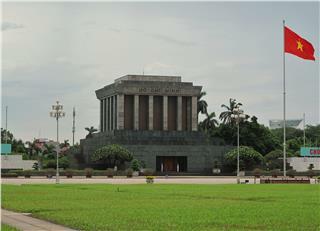 It witnessed the heroic feats of Vietnam soldiers and war crimes of American imperialism. 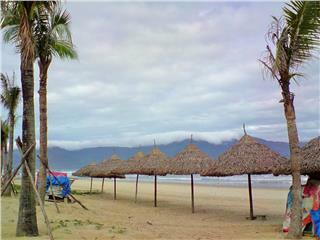 Thanks to its wonderful natural scenery and the excellent travel services, Pham Van Dong Beach has long become an appealing attraction in Da Nang alluring numerous tourists. Going to the beach, tourists will have unforgettable moments.